All citizens over 21 must have access to buy and carry firearms except those considered semi-automatic because of their high dangerousness. Abortion should be easy, safe and affordable to obtain. It is essential that school choice legislation is maintained, which includes the creation of the Hope Scholarship Program, which subsidizes the cost of the private school or allows a transfer to another public school for students who have been bullied. Interest rates on student loans must be reduced. Rights of the LGBTQ+ communities need to be protected by the candidate. Foreigners who came to the United States under the age of 16 have the right to live in the country covered by the DACA. All foreigners without documents must be deported, regardless of whether they may be eligible for US citizenship. The U.S. Immigration and Customs Enforcement Service (ICE) must be reformed to make it more effective. The death penalty should exist for people accused of murder. The problem of the beaches of Florida invaded by the well-known 'red tide' should be a priority for politicians. Restrictions on the emission of greenhouse gases must be reduced. Access to minimum health services for everyone must be established by law through Obamacare. The use of medical marijuana should be allowed but not smokable medicinal marijuana. The right to health services for people living with HIV/AIDS should not be denied if this means saving their lives. Candidates involved in corrupt practices should be penalized. The income tax must not be increased. The provision of tax incentives to companies for the creation of jobs should be a priority in Florida. 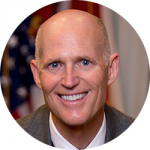 The Senate candidate for Florida must be less than 70 years old. 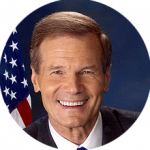 It is important that the Florida Senate candidate has served in the military. It is very important that the candidate is supported by President Donald Trump.